Have you noticed how store-bought pork has changed over the last few years? Center-cut boneless pork chops are lean and devoid of flavor compared to what we used to enjoy. That’s why the safe cooking temp was lowered by the USDA to 145 °F - a full 15 degrees less than before. And now the USDA says it’s OK to eat your pork slightly pink. So we no longer buy boneless chops, opting for bone-in, with a nice layer of fat around the edges (great for cooking - it gets cut off before eating). Pork has always been an important part of the Polish diet. This classic cutlet is a tasty choice anytime and anywhere in Poland. 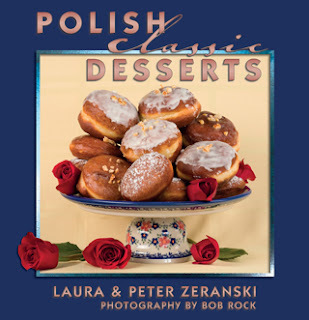 Quite similar to Viennese Schnitzel, the Polish version is often served with boiled cabbage, dill pickles or Brussel sprouts & carrots. Use bone-in or boneless chops, either will work. Trim most of the excess fat from the chops. Pound the meat to tenderize until about 1/4 inch thick. 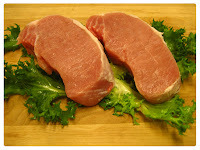 (Hint: pound the chops under a plastic freezer bag to make the process easier and cleaner). Cutlets may be cut into smaller pieces to better fit your skillet. Mix bread crumbs and marjoram. Dredge the cutlets in flour. Dip in the beaten egg. Roll in bread crumb mixture and press in to make bread crumbs stick to the cutlets. Preheat the oil in a large skillet and saute the cutlets until golden on both sides until the pork is just barely pink - about 5 to 7 minutes per side. Garnish with fresh chopped parsley or dill. Serve with your favorite vegetables, boiled baby potatoes, and slices of dill pickle. Kent Simmons accepts hand crafted hound food recipes are the best things that at any point happened to your pooch!